In its fourteenth edition, SP-Arte—the São Paulo International Art Festival—showcases 164 galleries and brings a string of art-related events to town. 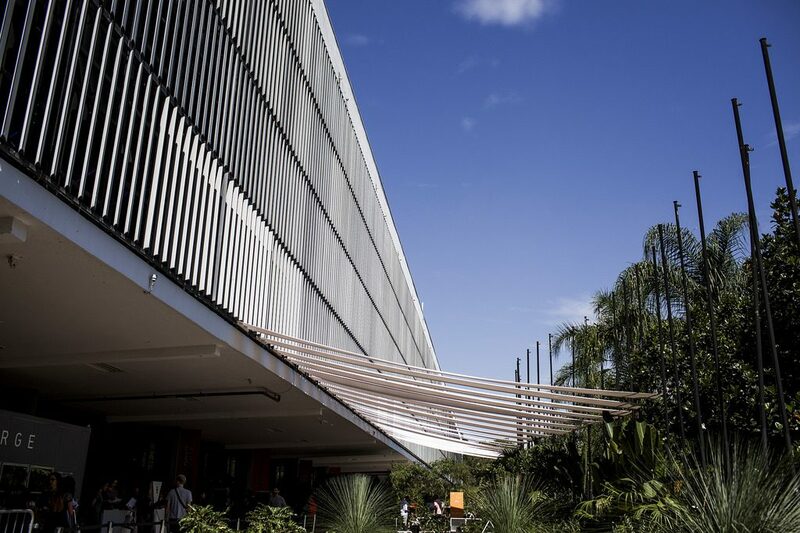 The fair, which occupies the Bienal Pavilion at Ibirapuera Park, kicks off with an invite-only preview on Wednesday, April 11, with the fair open to the public April 12 through Sunday, April 15. However, prior to the onset of SP-Arte, fifty top galleries in the neighborhoods of Vila Madalena, Pinheiros, Itaim and Jardins are open for the public as part of Gallery Night on Monday, April 9 and Tuesday April, 10, from 5pm to 10pm. On Monday, Instituto Tomie Ohtake will offer talks with artists and curators, and a performance by Bené Fonteles. In the evening at Vila Madalena, Galeria Raquel Arnaud inaugurates the solo show “A pequena morte” (A Small Death) of artist Carla Chaim. Among the leading events on Tuesday is the opening at Bergamin & Gomide of the exhibition of post-war Japanese artist Takesada Matsutan, also on show at Japan House at Paulista Avenue. Galeria Lume will offer a guided talk at the solo of artist Ana Vitória Mussi with Adolfo Montejo Navas, the show’s curator. At the Jardins, Galeria Berenice Arvani displays late Brazilian masters, among them Alfredo Volpi, Rubem Valentim and Mira Schendel. For the complete list of events go to sp-arte.com/programacao/gallery-night/2018/. Among the fair’s many attractions, the sector at the second floor, curated by Jacopo Crivelli Visconti, dubbed Repertório (Repertoire), presents thirteen galleries with a prime selection of Brazilian and international artists left behind by the art market as a whole or unknown by today’s public at large. 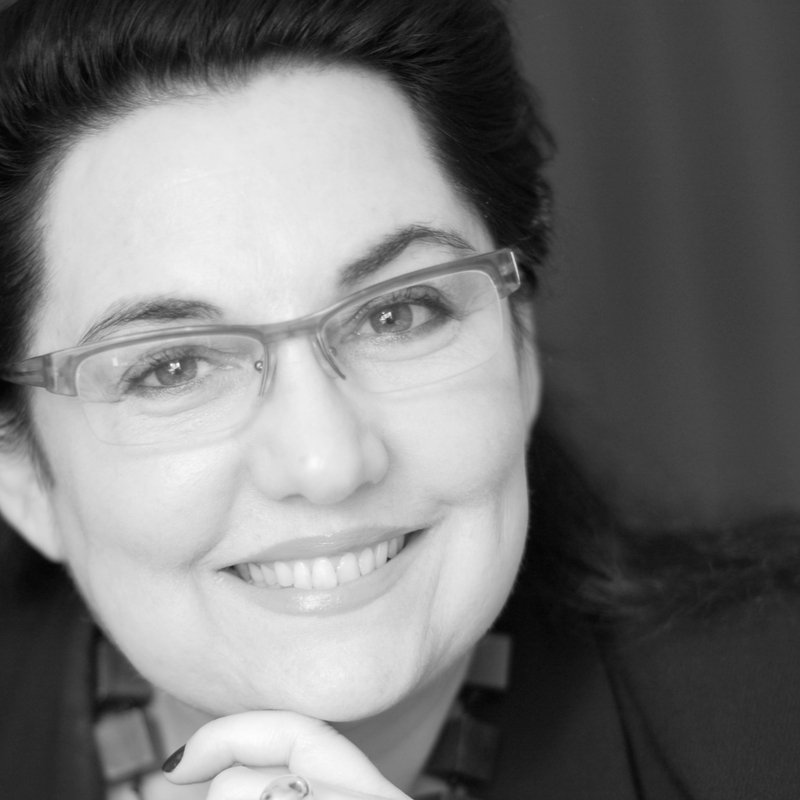 New York’s Marian Goodman brings French master of conceptual photography installation, Christian Boltanski (born 1944), while Italy’s Continua of San Gimignano shows Chinese Chen Zhen (1955-2000), revered in the art world for his large-scale sculptures. 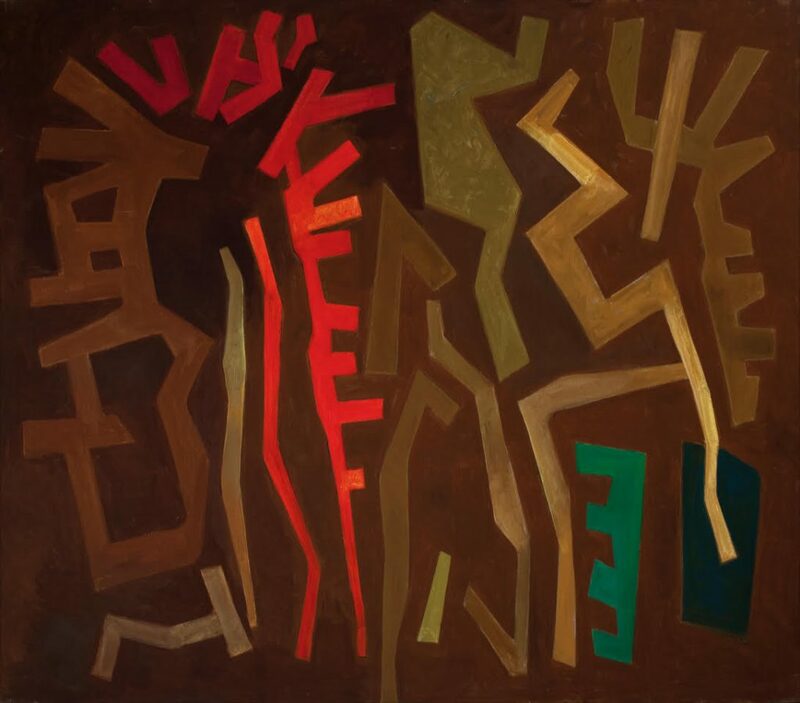 Among local galleries, the highlight is on two artists: Ione Saldanha (1901-2001), brought by Almeida e Dale, hailed for her pioneering eco-sculptures on bamboo-stalk painted in colorful ethnic stripes and, lastly, the focus of our tripartite interview, painter Loio-Persio (1927-2000), represented by MaPA Galeria, a first-timer at SP-Arte. 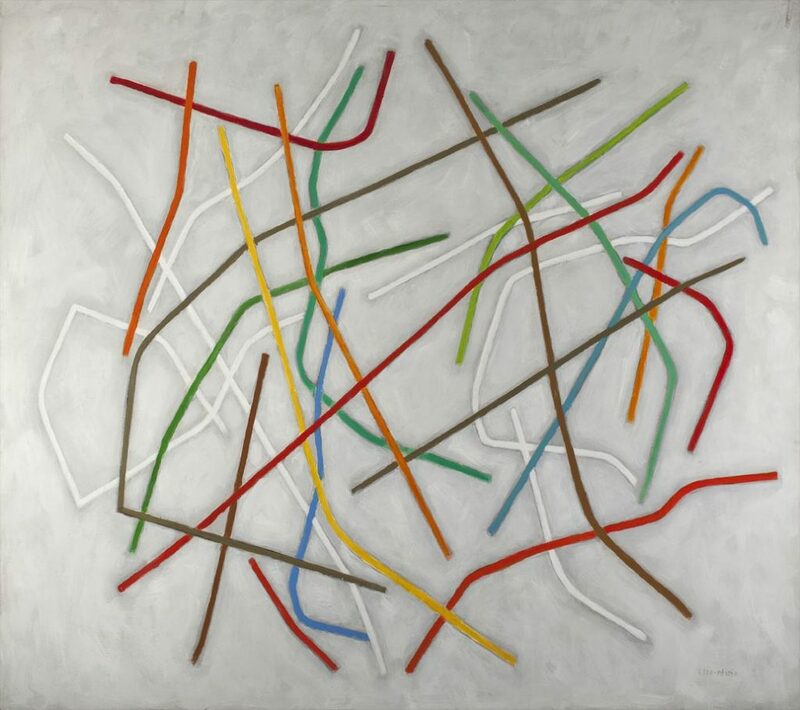 São-Paulo-born Loio-Persio was one of the pioneers in informal abstractionism, a current that counterpointed the predominance of concrete and geometrical artists in Brazilian art in the sixties. His work is in the museum collections of Rio’s MAM-RJ, Museu Nacional de Belas, MAR and MAC-Niterói; in São Paulo at MAC-SP, MASP and MAM-SP; and in Curitiba at Museu Niemeyer, and in private collections such as David Rockefeller, Roberto Marinho, Gilberto Chateaubriand, Israel Klabin, João Sattamini, Marcos Lisboa and our interviewee Marcio Espindula, most likely the largest private collector of the artist’s work. We also interviewed MaPA’s Marcelo Pallotta and Loio-Persio’s son Rodrigo Magalhães. Marcelo, in these two years your gallery has been open, you have been focused in retrieving important artists from oblivion as you are doing now with Loio-Persio. How do you evaluate this market niche? There are several artists ready to be salvaged, some were well known in the market in their time, others notwithstanding their interesting artistic expression for reasons unknown did not even break into the art market in their days. My foundation as a graphic designer helps me out selecting these artists then I consult with curators and art critics to build up the historic and theoretical elements around the oeuvre. How do you reinstate Loio-Persio’s oeuvre? 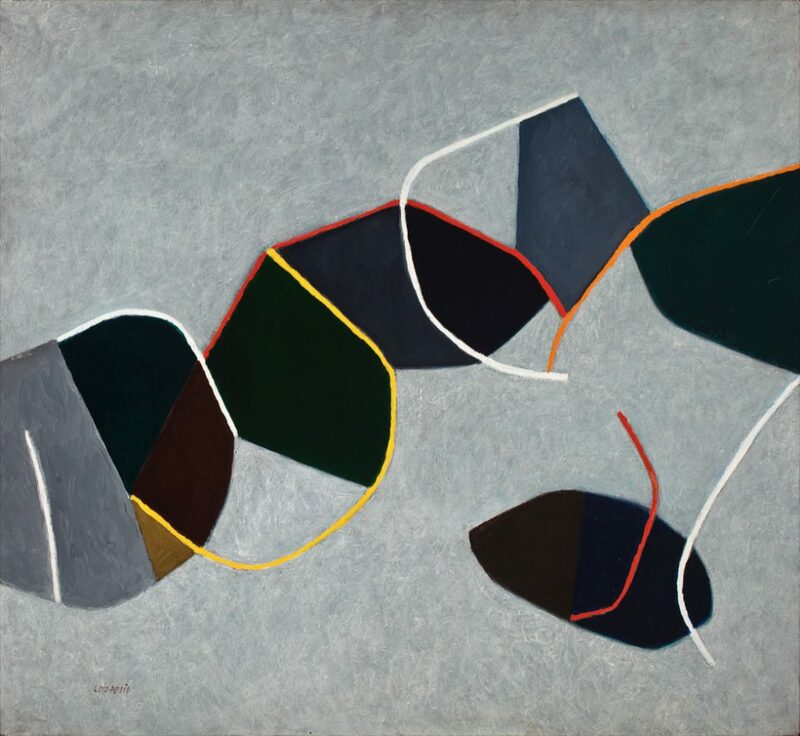 Loio-Persio is one of the pioneers in informal abstractionism, a current that rose to counterpoint the predominance of concrete and geometrical artists in Brazilian art. 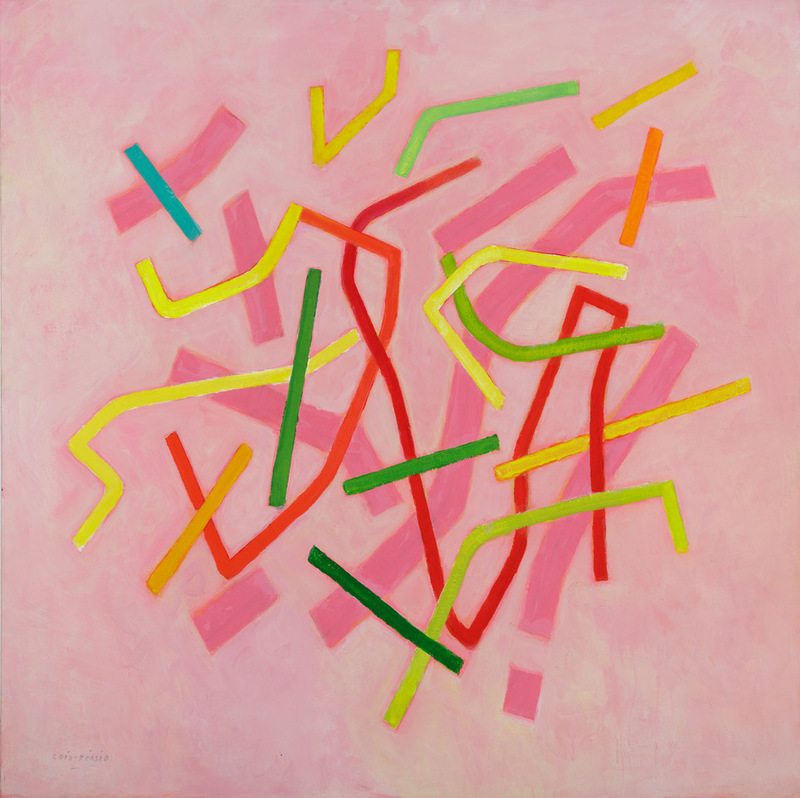 Another difference is the fact the concrete/geometrical artists organized themselves in two major groups in São Paulo and Rio while informal abstraction was reduced to its own solitary path. What do you foresee in your first participation in SP-Arte? SP-Arte is central to consolidate a gallery’s name. MaPA is two years old and we already amass seven exhibitions. To represent an artist with the grandeur of Loio-Persio in our first showing assures us recognition in this major artistic and cultural hub. Rodrigo, will some of your father’s most significant works be exhibited in SP-Arte? Certainly, and two are especially significant canvases. The largest is a two-meter-long painting made in 2000 from the “Esgrafitos” (Sgraffiti) series, exhibited posthumously at 2011 Europalia in Brusssels. It is very contemporary and compiles much of his pictorial research. 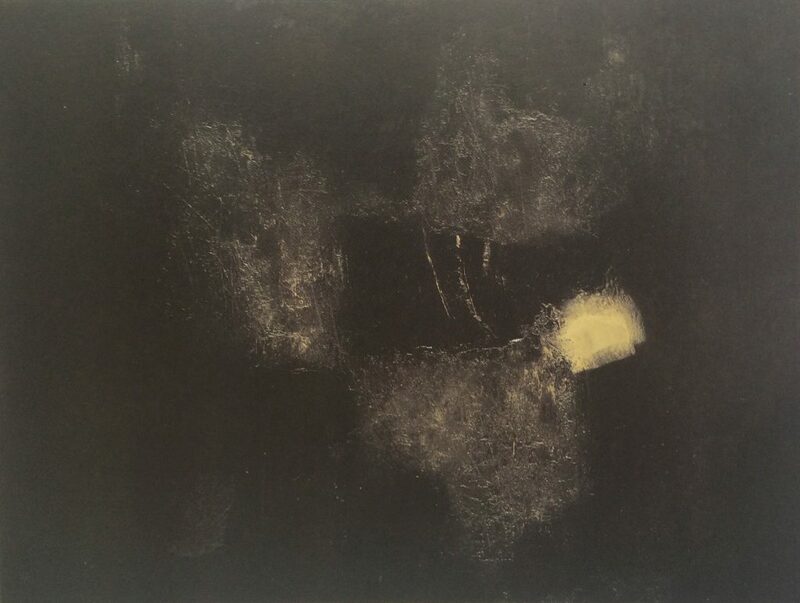 The other, “Composição em Preto” (Composition in Black), is a ninety-seven-by-one-hundred-thirty-centimeter painting from 1959 that was awarded the gold medal in the Mexico Bienal the following year. Explain what are esgrafitos (sgraffiti), a term he coined for a series first showed in 1988 at the late Galeria Paulo Figueiredo in São Paulo. Esgrafitos are geometrical graphics reminiscent from Cubism found at his last phase. 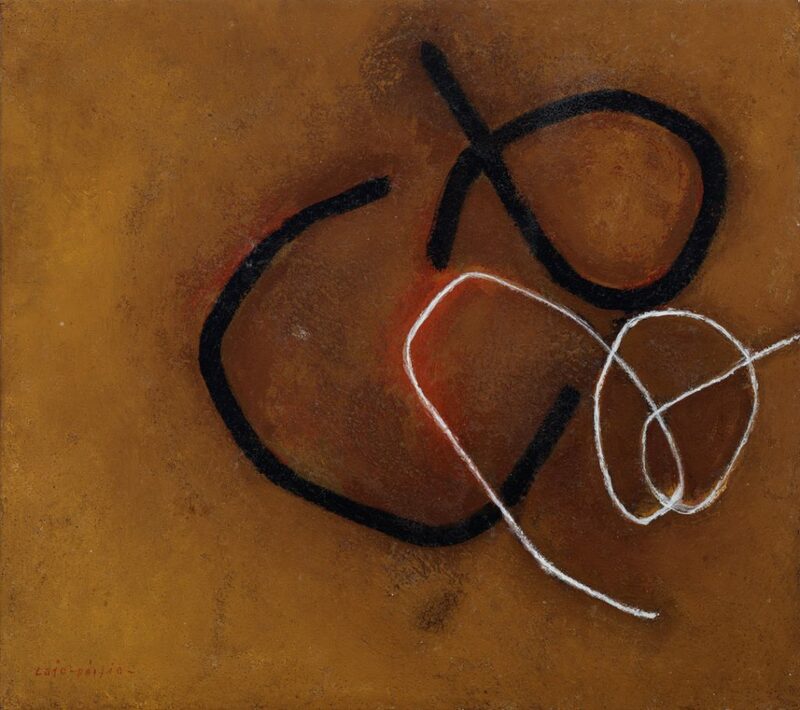 They reveal his advanced research in the narrative of informal abstract art. The canvases on show in SP-Arte are either oil paintings or acrylic tempera. Did Loio follow the Middle Age tradition of mixing egg yolk to set his paints? Yes, he used egg yolk in the tempera he prepared himself but how many yolks depended on the effect he aimed for, more translucent, more opaque, etc. He also called this technique tempero. He dominated several techniques but his preferred medium was painting. All in all how many works are in his oeuvre? About five thousand from 1947 to 2004, when he passed away. Presently we are focused in researching and cataloguing my family archive that amounts to about one-thousand pieces he made. Now tell us about some highlights in his career. His first solo happened in 1947 when he was twenty years old at the Centro Cultural Interamericano in Curitiba. He was at the São Paulo Bienal editions of 1959 and 1961. 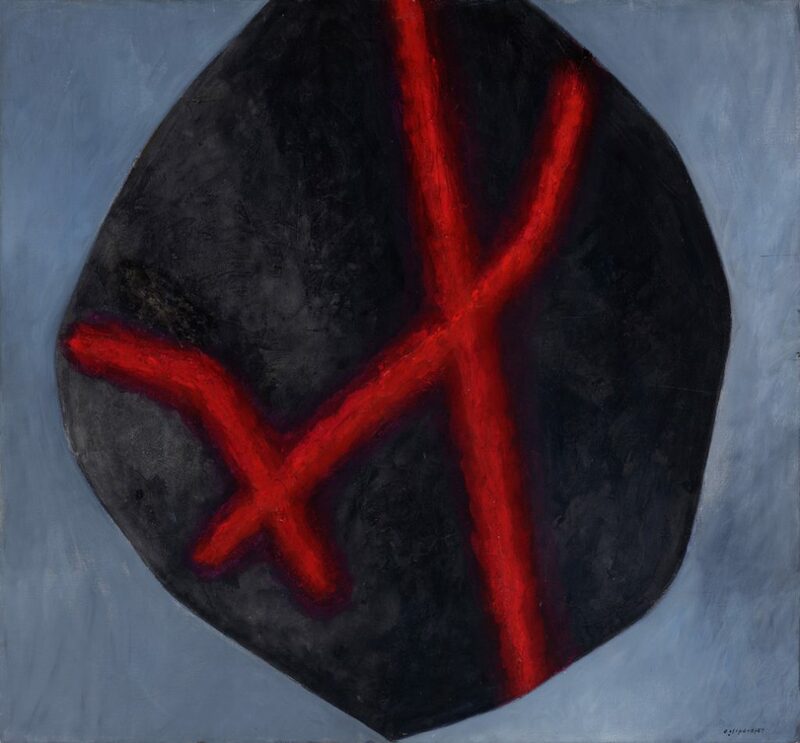 In 1960 he had a solo show at Museu de Arte Moderna do Rio de Janeiro [MAM-RJ] and then was invited to show at three of the most important exhibitions then: the Venice Biennale, the Bienal Internacional de Paris and the International Guggenheim Awards. Still in 1960, he was awarded in the second edition of the Bienal Interamericana in Mexico City, and in 1963, at the Salão de Arte Moderna in Rio. After that he decided to spend some time in Europe. In 2000, he received his last award, a grant by the Pollock-Krasner Foundation for artists who have dedicated their lives to art. Where were his last shows while he was still alive? They happened simultaneously in 2001, in Rio: “Brasil Sempre” at Galeria Anna Maria Niemeyer and an exhibition at the Museu Nacional de Belas Artes where he was sponsored by the Pollock-Krasner Foundation. Do you relate your father’s work with modernism? No, I don’t. 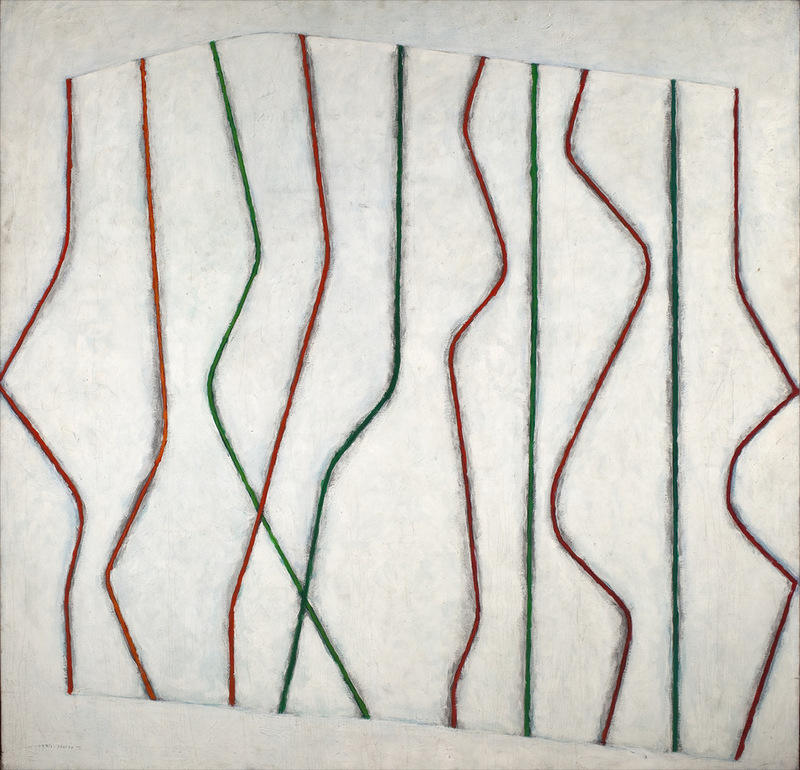 For me Loio’s work is in the realm of contemporary painting like Brice Marden, who is still alive. His fifties-sixties phase is the most well-know, then there is a transition period in the end of seventies to the early eighties, after that he goes through two more phases to finally arrive at his final phase, the esgrafitos, when he solves his issues of color, the flat surface, the infinite and the dissolution of space all that theorized by his friend German philosopher Max Bense. 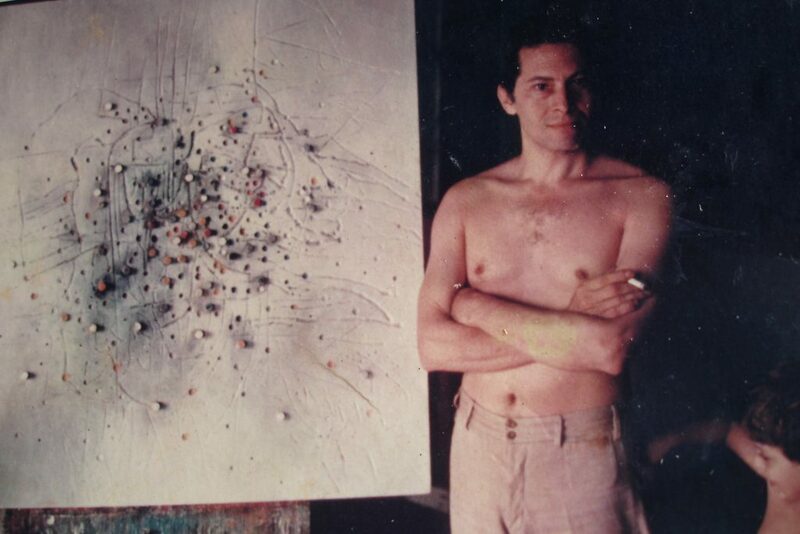 My father led an extraordinary life, totally dedicated to his art. Marcio, how did you get to meet Loio? I met him through a common friend a few months later after opening my art gallery Usina in 1986. By then he was already living in Vitoria [state capital of Esprito Santos] with a studio next to the gallery, so we started paying each other regular visits which led to his solo show at Usina in 1987. By the end of his rental agreement I offered him to move his studio to an area at the second floor of the gallery. He lived there for several years even after the gallery ceased operating. Loio was a born raconteur, a cultivated man who despised lukewarm comments and enjoyed peppering his words in clever innuendos. In the nineties, when he moved to Nova Almeida, a seaside town north of Vitoria, we met less frequently. Tell us about your collection of Loio’s works. This one-of-a-kind relationship allowed me to build a substantial collection of his work; he is among my most significant artists. 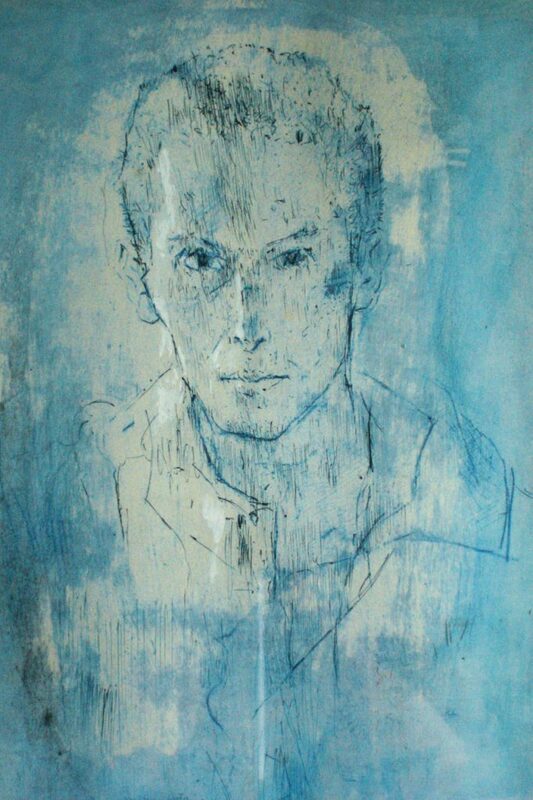 From him I have fourteen paintings, most of them from the 1980s, and one dated 1959, some works on paper as well as a painting on wood from 1959. 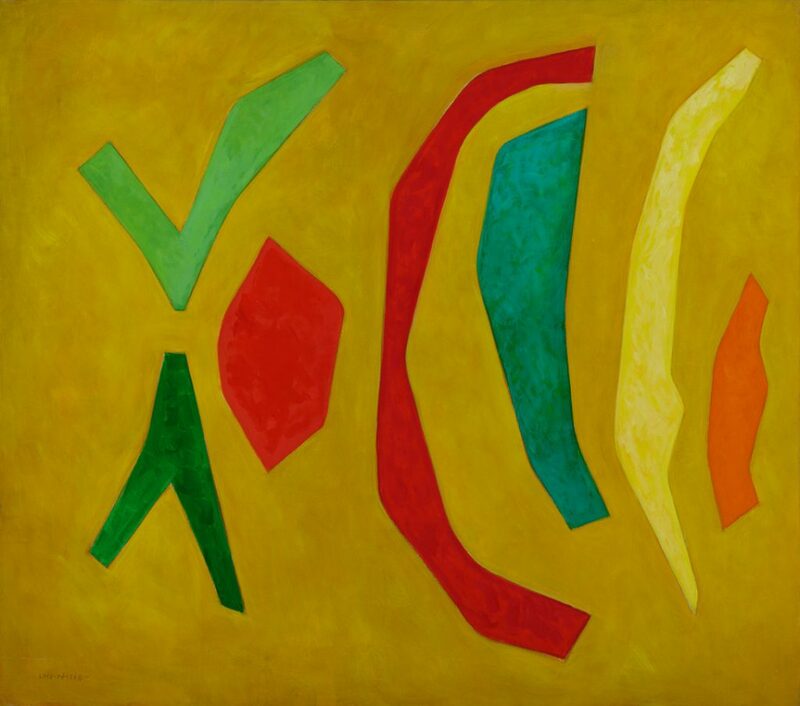 I love all of them, some are very representative of his informal abstractionism, others more geometric. I especially like the “Esgrafitos” (Sgraffiti) series first presented at Galeria Paulo Figueiredo in São Paulo in 1988. Not many people know but he was also an exceptional draftsman, he loved portraiture. He made several portraits of my daughter Julia. On top of that he was also a fine poet. Loio is a masterful artist recognized by his peers; he hangs in Brazil’s choicest collections. How do you see this effort to lift his name from obscurity? It is wonderful news. Looking back at my short-lived experience as a gallerist in the 1980s and hanging out with the art crowd I now see I made the right move to listen to my artist friends’ advice on the selection of artists for my gallery. Of all the artists I got along with, I do not recall one who did not admire Loio. No small thing considering how vain the art world is.